Running the Red Line is a fairly unusual running book in that it’s about so much more than running. 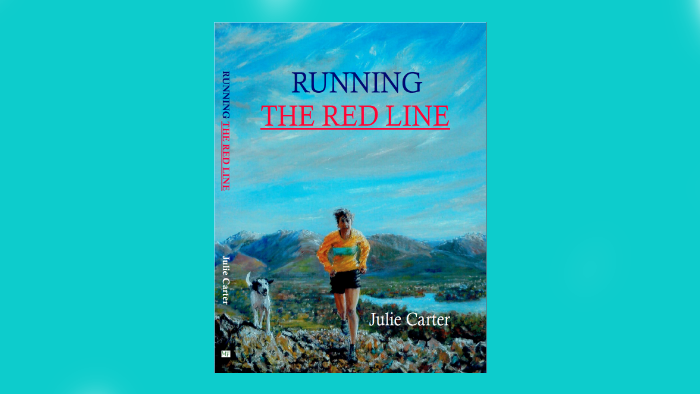 Julie Carter, a doctor and psychologist, didn’t actually start to take running seriously until she was in her forties, though was an avid climber and walker, and this book describes her adventures in fell running. It is however, first and foremost, a book about a love of fell running. The book opens with Julie’s description of her first fell race and the feelings it opened up inside her. ‘I was only just in control and felt on the threshold of recklessness. I was at once both abandoned and fully engaged. Lost and found. A thought rang through my head during these moments: I love this!!’. This leads on to a discussion about being in a state of ‘flow’, something most of us runners experience at certain elusive points, and this very much sums up the style of the book. 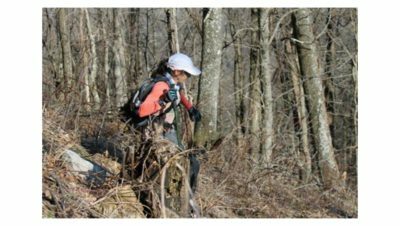 Julie describes races and experiences, but looks deeper at some of the psychology behind them. There are some particularly interesting parts about pain and our response to it, including an anecdote about running the second day of the OMM on a knackered ankle, which will amaze you (and may make you wince). Julie describes many fell races in the book, in a very evocative way. She also talks about a Bob Graham Round (hers) and a Ramsay Round (her friend’s), and if either of those challenges appeal to you, it’s worth reading this book. The chapters about her attempts to win her vet category in the British and English Fell Running Championships are nail-biting and you’ll find yourself willing her on, through all her setbacks. 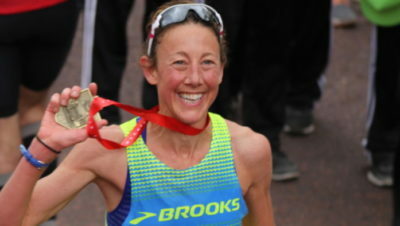 There are some great descriptions about how she’s feeling before and during races, dealing with success, competition, pain and disappointment which will ring true for many runners and offer insight. They certainly did for me. A key theme throughout the book is friendship and camaraderie. 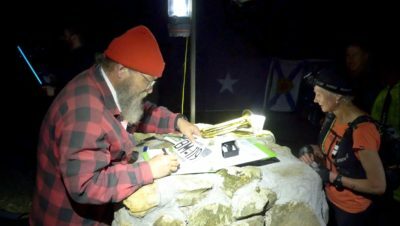 Woven throughout the descriptions of races and challenges are the people who made them all possible, who supported and encouraged, and stood on summits in the rain, wind and snow offering sandwiches. This is definitely something we can all recognise as runners. Whether it’s parkrun, a club run, a fell race or a marathon, we don’t do these things alone and we meet so many people along the way. One other theme through the book is that age is not a limiting factor. Julie sets high targets and seeks to do the best she can do. At one point she decides she’s going to qualify for a championship start at the London Marathon, which would be quite a big deal for most runners, but then it’s barely covered in the book. There’s definitely no sense that slowing down or a dulling of competitive spirit is inevitable with age, you just cut your cloth accordingly.